TDR tensioner vs PS tube/hose? - Miata Turbo Forum - Boost cars, acquire cats. TDR tensioner vs PS tube/hose? 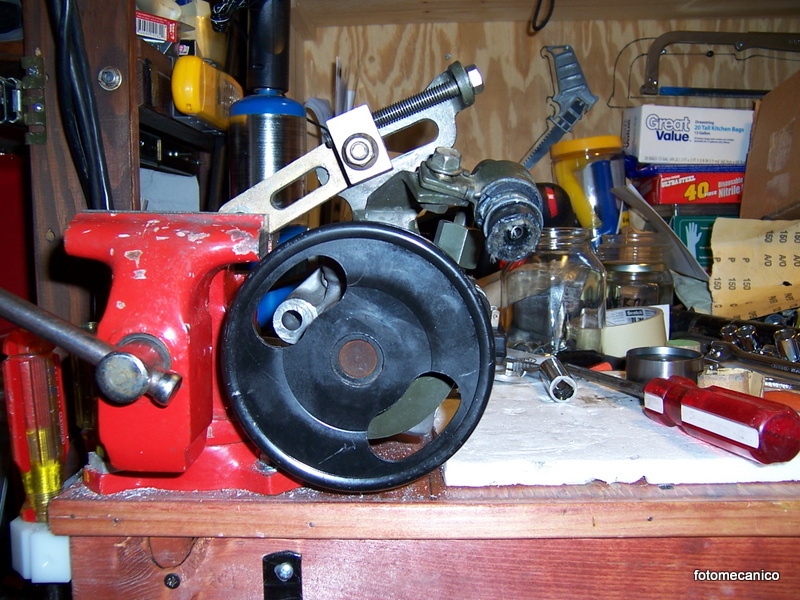 I located and obtained a TDR pulley tensioner for my 1.6 with A/C, P/S and a M45 JRSC. I don't think I have all the pieces for it for before going further, I did a test assembly with a P/S pump and noticed that the tube/hose off the top of the pump interferes with the TDR bracket... 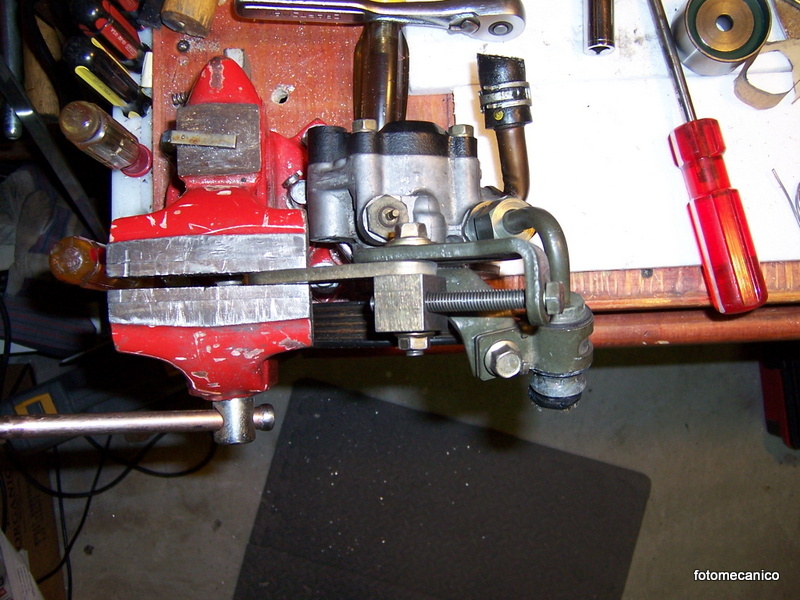 I loosened the fitting and rotated it to clear, but this puts the hose about 90 degrees off the *normal* position... I wonder if this will cause a problem or if I have missed something, although there seems to be only one way for the pump and bracket to assemble.... Here are some pictures of the pump assembled to the TDR bracket and to the stock bracket so you can see the difference. Give TDR a call/email, they will get back to you quickly. Great folks! I already emailed Gary at TDR. I was hoping to get some info quicker. Thanks anyway. Yes, it's fine. Rotate hose so it isn't kinked funny or rubbing on something. It doesn't matter which way it points. I understand CR.net isn't usually the most credible source for good advice, but was it really necessary to ask the same question here too? It's just a hose, it carries fluid, it doesn't matter how it flows, so long as it gets from point A to point B without leaking or otherwise being impeded. y u no depower steering rack? Last edited by EO2K; 06-18-2012 at 09:12 PM. Thank you for the information. I really appreciate it. I don't mean to make a problem by posting the question on different forums. I just figured that I would be more likely to get more answers quicker. I was in a hurry because I thought I would install it today while other work was being done. Also, one often gets conflicting answers in these forums and amongst them are some more clear and cogent (such as yours, thank you). Thanks for the answer, but there is nothing to be gained by de-powering the steering rack. 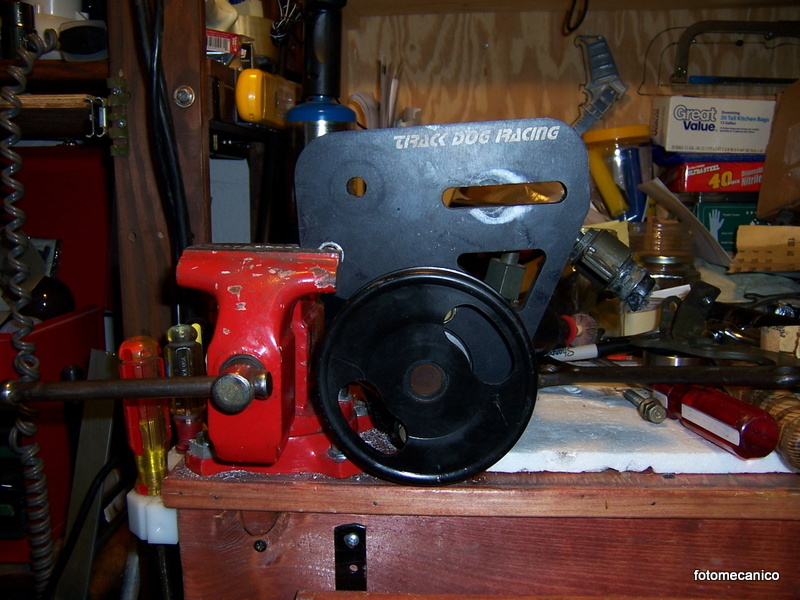 In this case it would involve a lot of work and I would have to make even more modifications to the set up such as adding another idler pulley to replace the PS pulley. Also, the steering would be quicker, but also take 26% more effort to turn. At low speeds (which I drive every time I get behind the wheel) this would be a PITA. Sorry for the double post, dunno wtf with that. Does the TDR setup require that you have the PS delete idler in place if not running power steering? I just checked the install instructions on TDR's website and if I'm understanding the routing, it appears you can just run a shorter belt, or possibly the same belt, if you have AC but no PS. 1. 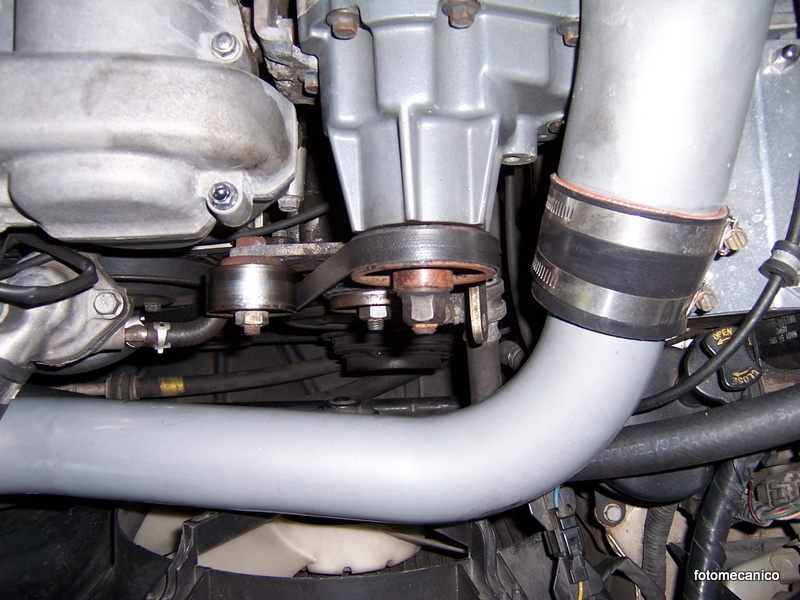 Loosen the power steering hose fitting as shown in Photo 2-A. It might be that the belt would run directly from the tension pulley and do a good enough wrap around the AC pulley. 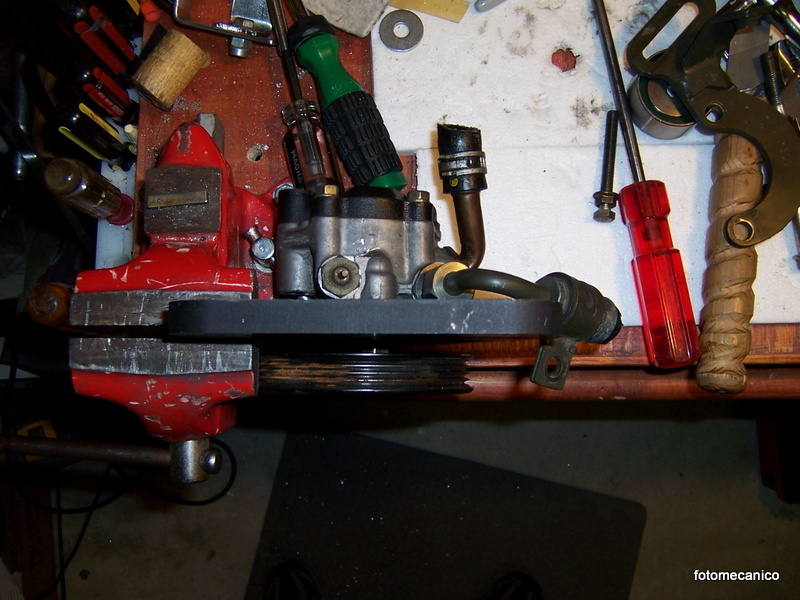 However, I found a post where this particular setup created an issue which the OP solved by adding an idler 4 rib pulley, roughly positioned where the PS pulley would have been. Don't get me wrong, I wasn't trying to be hateful (I know, weird for this forum). I take any advice I get on CR.net with a grain of salt too. As for deleting the PS, my 2 cents says do it, but do it right. I DD my JRSC with no PS and it's no problem at all. It's not a huge effort turning without moving, but you quickly get used to start rolling and then turn, reducing the effort monumentally. Ask around and see if you can snag a drive in someone's car that has properly removed the seal in the rack. I totally understand. I actually only post here with trepidation and reluctance because although some folks here have great knowledge, one can get insulted and ridiculed more than helped. So thank you for your feedback. Not hating or anything, but many folks in other forums will offer a lot of hearsay and plain myths as solid, bona fide information. I just have to check things out or risk failure. I did research on de-powering the rack and read about removing the seals, etc. I also found and bought a manual rack that the guy wanted as trade for this TDR tensioner. I used to drive a '95R with no power anything so I'm familiar with that. That manual steering is a bit slower than the PS rack but also requires a bit less effort. Back then I had some shoulder problems and I really wanted PS and power windows, etc. LOL! My shoulders are better now, but I still like my PS and rather keep it if possible. Quick Reply: TDR tensioner vs PS tube/hose?